Banglalink Happy New Year Offer 2017! 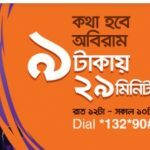 Bangladeshi one of the biggest and most popular Telecom operator Banglalink has come to their valuable customers to Banglalink Happy New Year Offer 2017.If you want to know about this offer, please follow this next instruction to active this offer on your mobile. Because Today I will share for all BL users to about this offer. The customers who want to know or active this offer, please read this full article to get all update more information. To activate Banglalink 500MB 45Tk Happy New Year Offer 2017, Customers need to Dial USSD Code *5000*588#. The validity of this offer in 5 days. VAT+SD + SC Including in 45 TK. To activate BL 2GB Data+ 500 min On-net + 500 BL SMS 498 TK Happy New Year 2017 Offer, Customers need to Dial USSD Code at *1100*4*1#. The Validity of this special internet,sms and minutes offer in 30 Days. VAT+SD+SC Including in 498 TK. BL customers can use this 500MB internet and 2 GB Internet Both 2G/3G area networks. Customers can use this data in 24 hours for unlimited browsing and download. 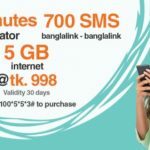 The customers can use this Banglalink 500 Minutes On-netany operator and 500 SMS Only Banglalink to Banglalink numbers. To check your 500Mb and 2GB Internet Balance, customers need to dial USSD Code *124*50#. We hope you will get more update news about Banglalink Happy New Year Offer 2017. If you want to know Banglalink Internet Package or Banglalink All Offer. No tension, Just stay with us and follow our site. Have you any confusion about this offer, just comments the box.We will try best to solve your problem. Thanks all BL customers for waste your valuable time with us.